On Wednesday evening, June 8th, the Style Saves team threw an epic graduation bash for 17 in-need students at Bodega South Beach. The restaurant covered all costs, stuffed the kids full of some of the best Mexican food you can find and gifted them with not one but two gift cards so they could dine again. Luckily they were able to snap out of their taco-fueled food coma to receive their grad gifts we were able to purchase with our over $5k of donations from GoFundMe. 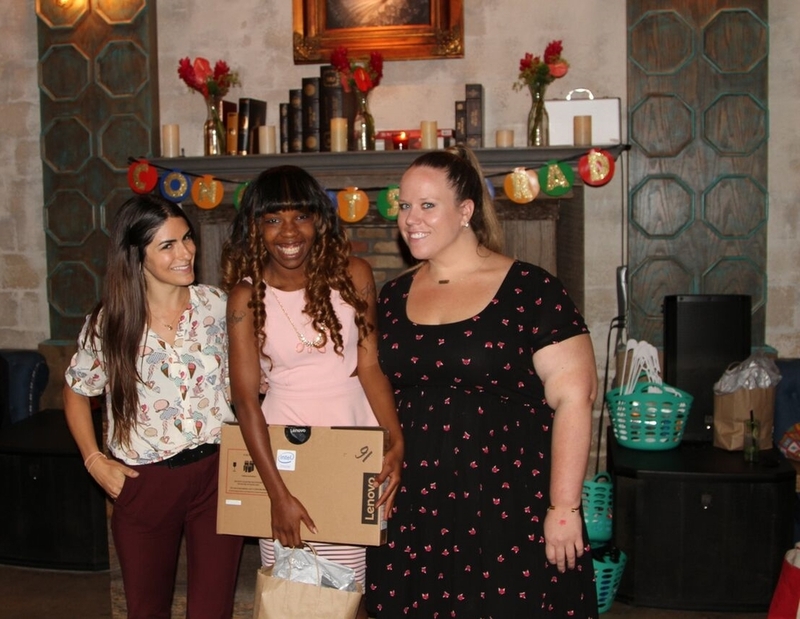 Those gifts included a brand new Google Laptop, gift cards, health & beauty products, school supplies and more. They were over the moon. Check out the smile on the gal who is pretty in pink. She told us this was her first laptop and that she had been praying for one since Christmas. We can't tell you how many thank you emails we have gotten from the students faculty, teachers and shelter staff. All in all, the kids last did not have the most fun. We did. We had the pleasure of making their day because of YOU. Everyone at Style Saves if forever grateful for your generosity.